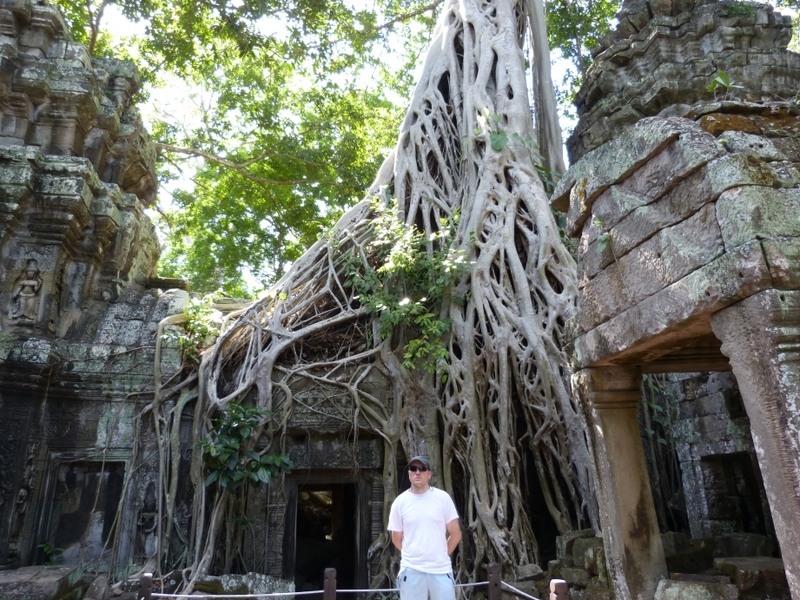 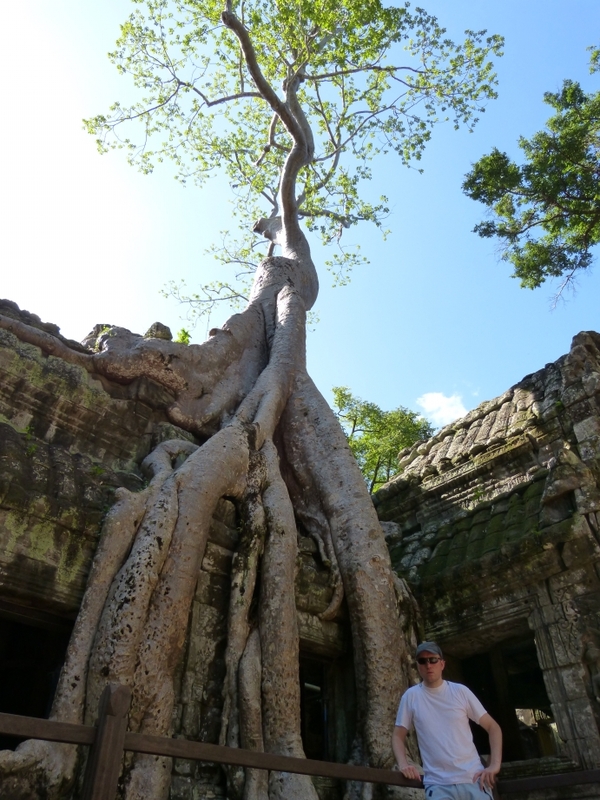 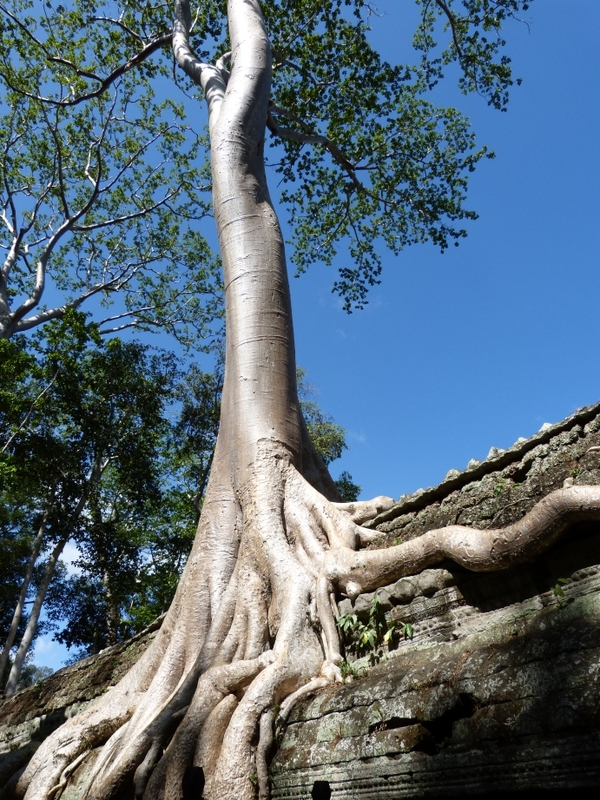 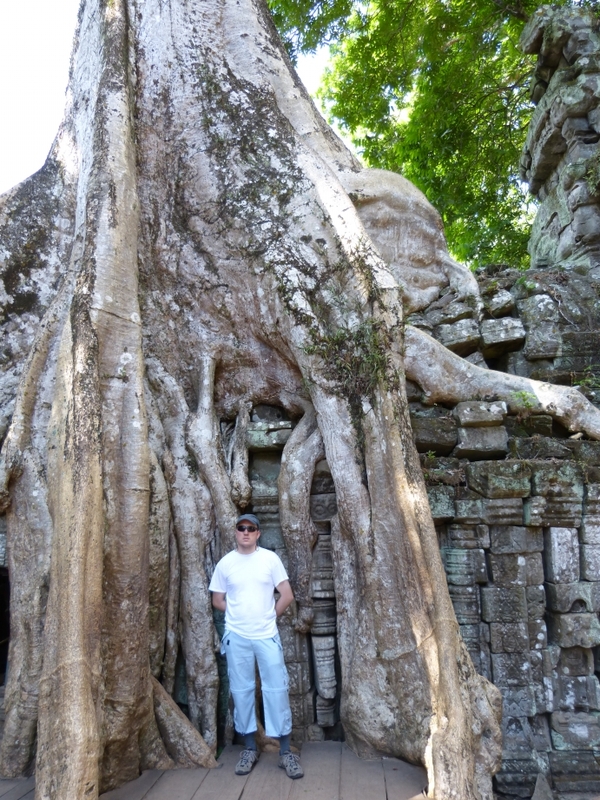 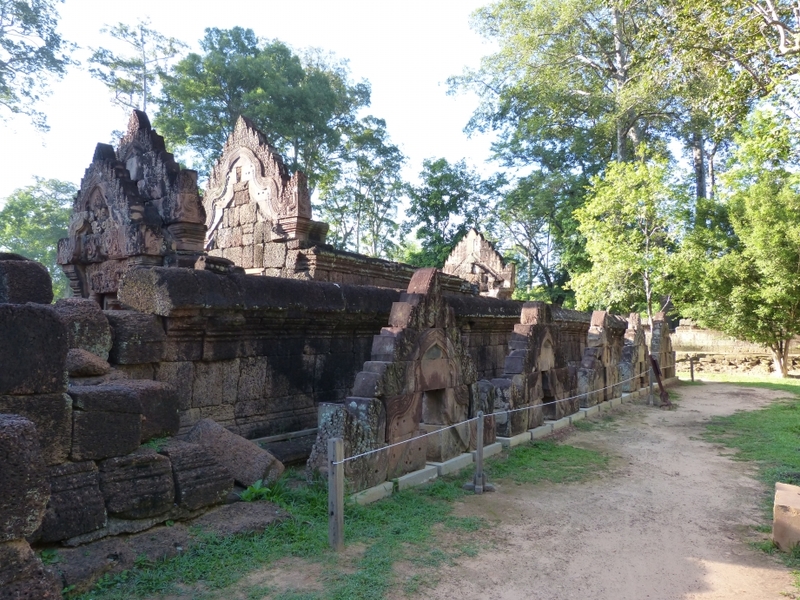 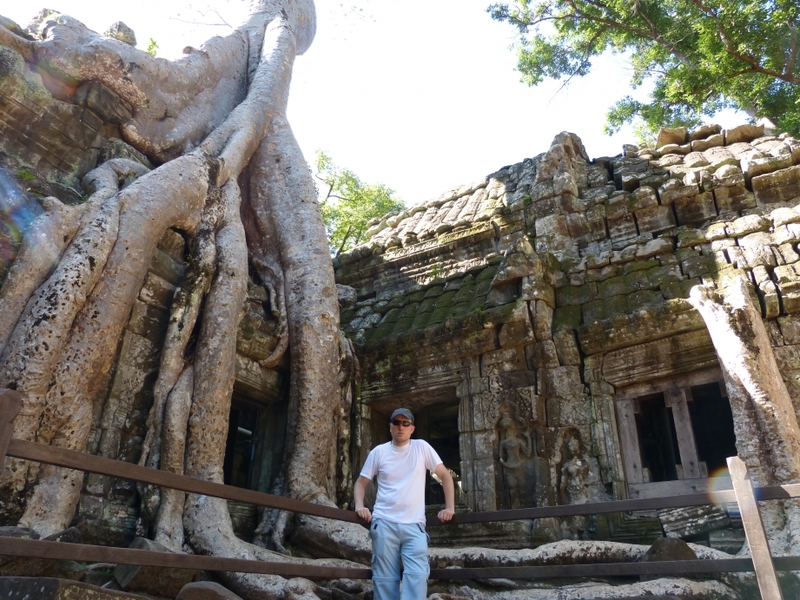 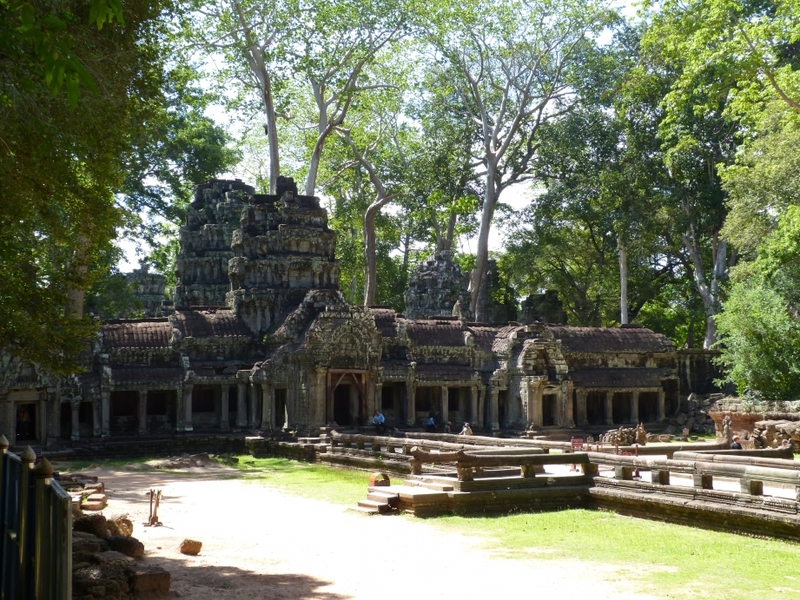 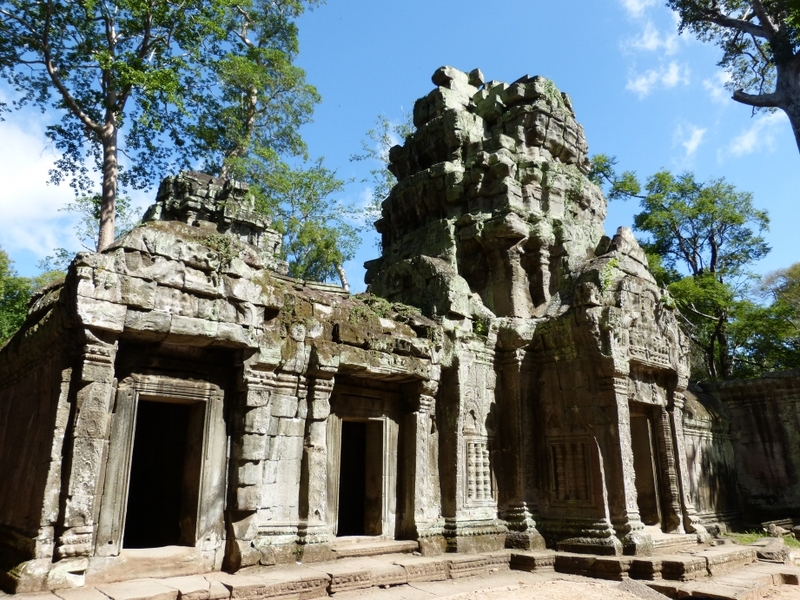 Another Temple that I visited in the Angkor complex was Ta Prohm with its huge trees overgrowing big parts of the temple. 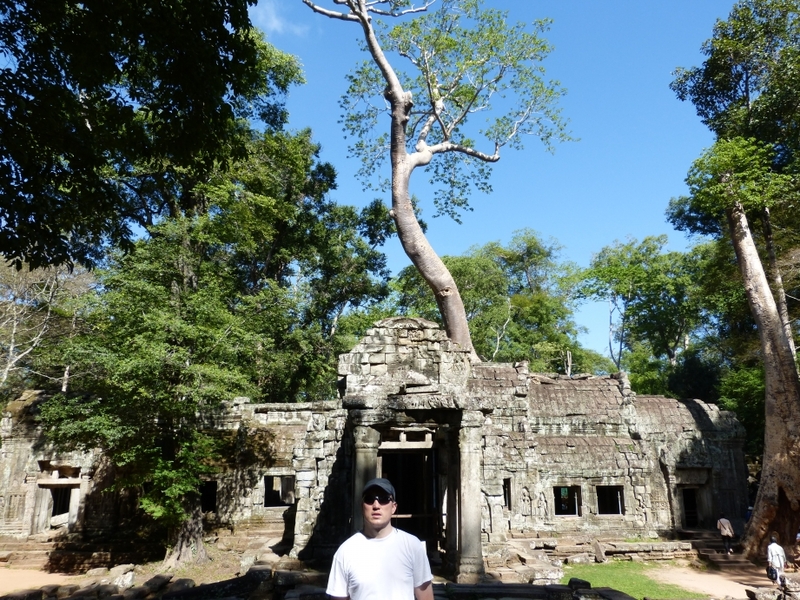 The trees are in unique shapes and I also saw the most famous tree of them all, the one that got featured in the Tomb Raider movie with Angelina Jolie. 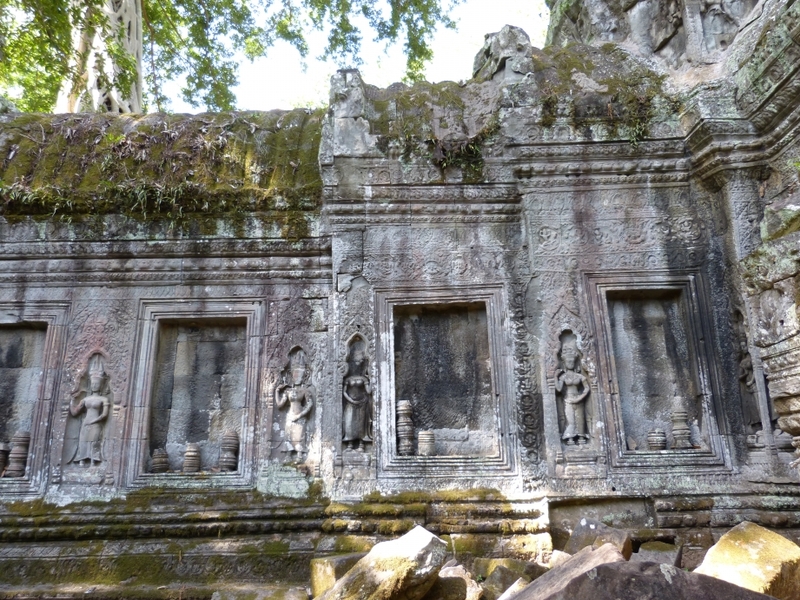 Some people call it “The Tomb Raider Temple”. 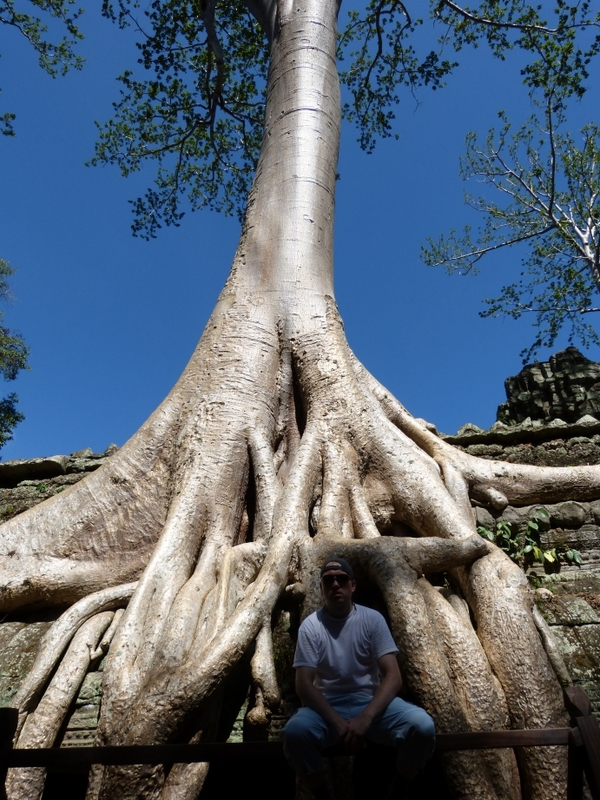 The Bayon temple is known for its faces this one for its big Banyan trees. 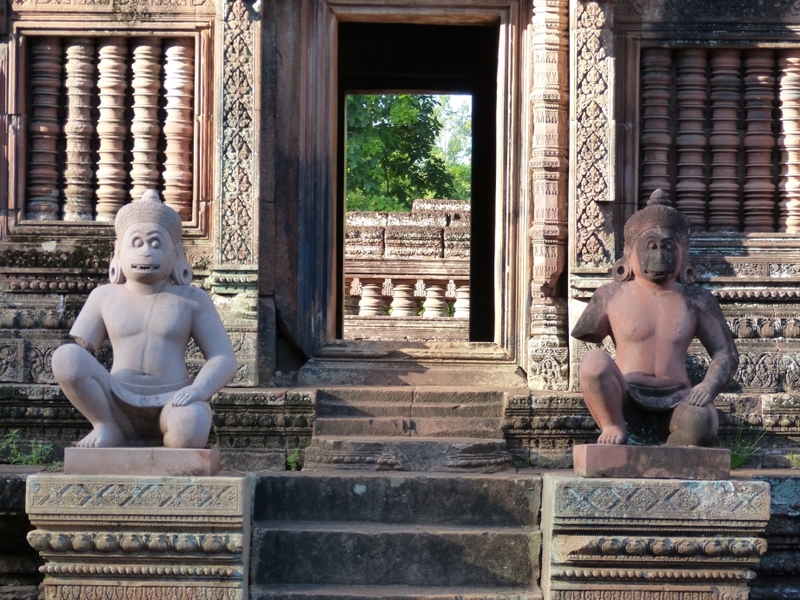 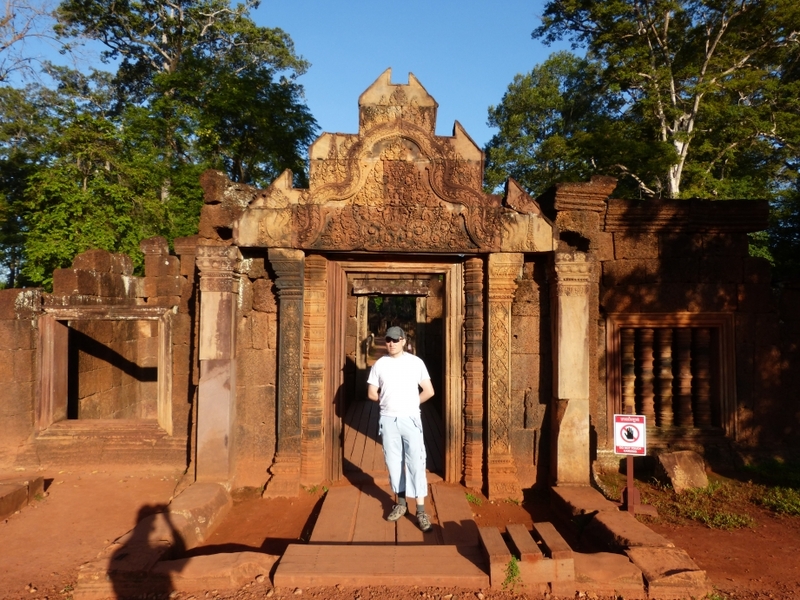 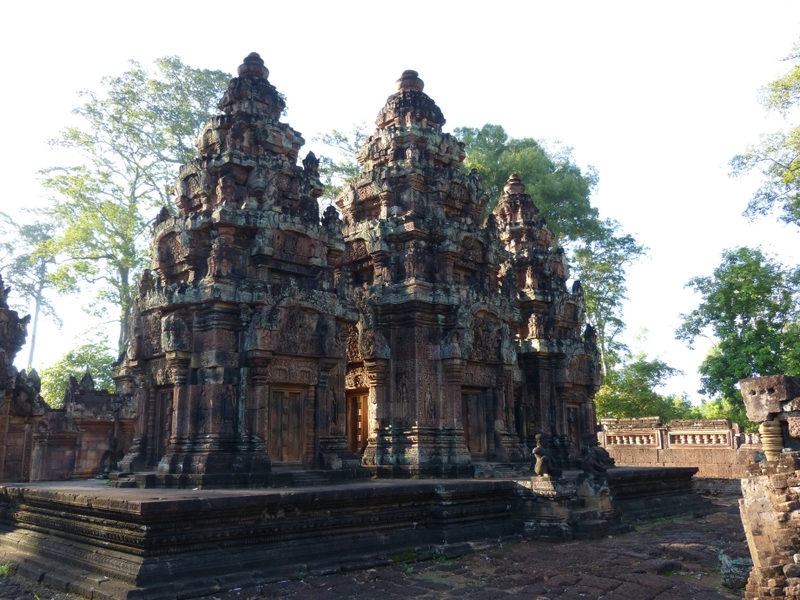 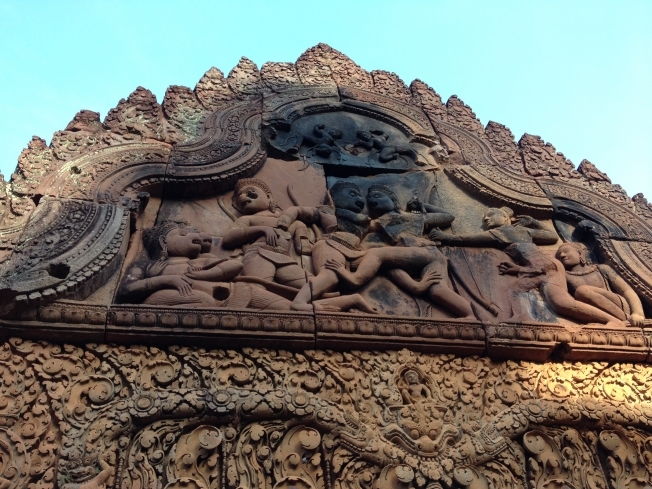 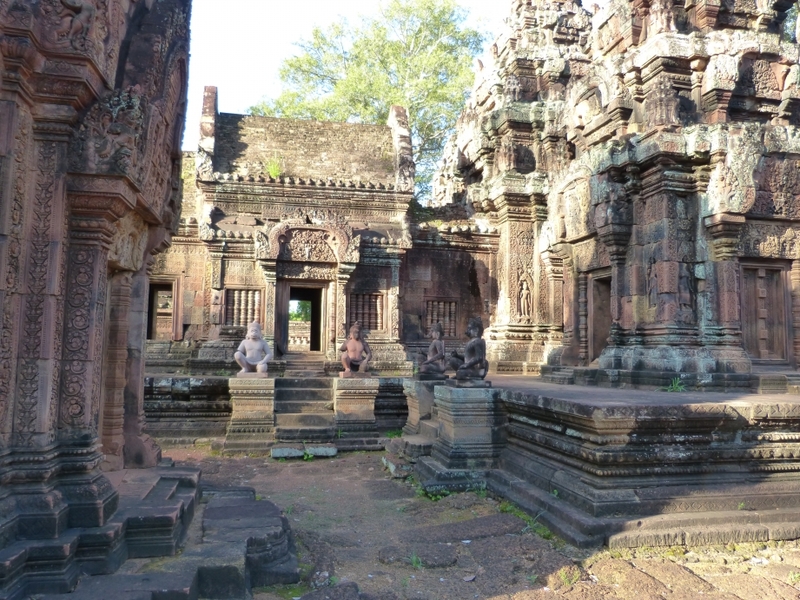 So many different temples to visit and each one is different like Beantey Srei with its Monkey statues is in a well-preserved state. 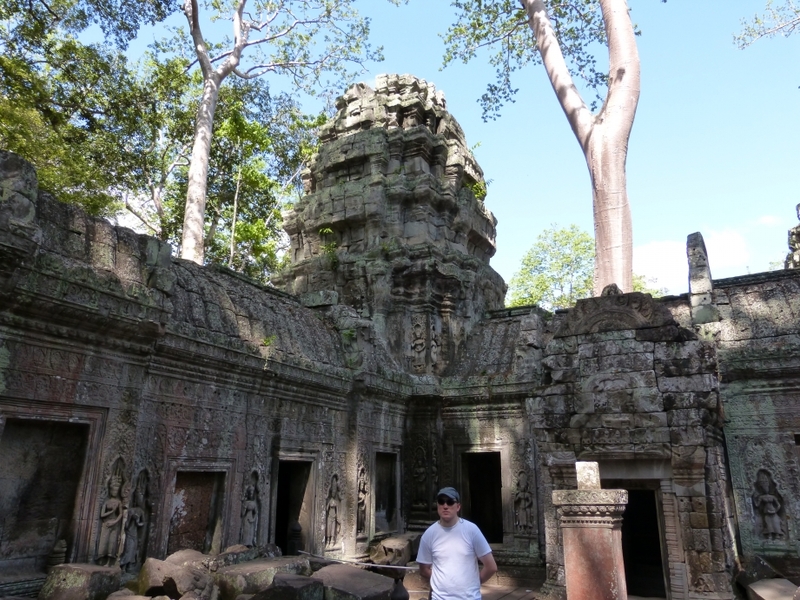 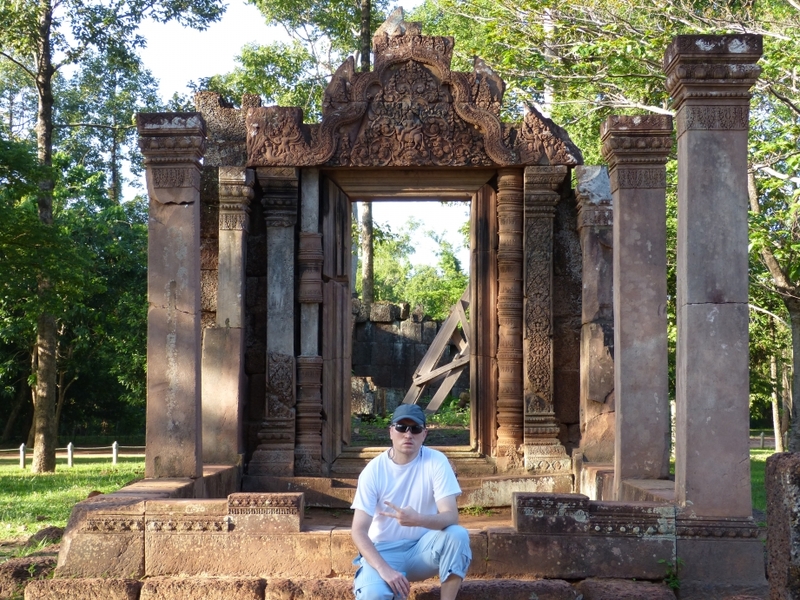 Less tourist here but surrounded by the jungle its a must see and well worth to take your time and have a look.